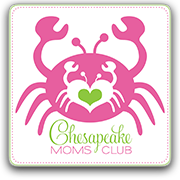 Here at Chesapeake Moms Club, you and your children can begin making lifelong friends. Start finding support for the toughest – and most rewarding – job you will ever have! If you’re expecting, please do get in touch before that baby comes! Dues are $35 July 2018-June 2019. Membership covers supplies for our events, offsets the cost of our annual retreat and End of Year Bash, and gets you access to our private Facebook and Meetup groups.